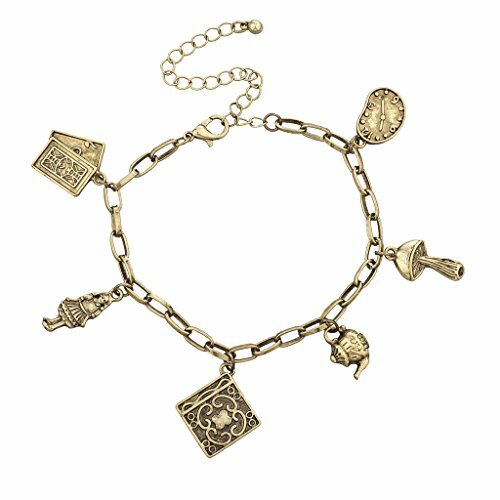 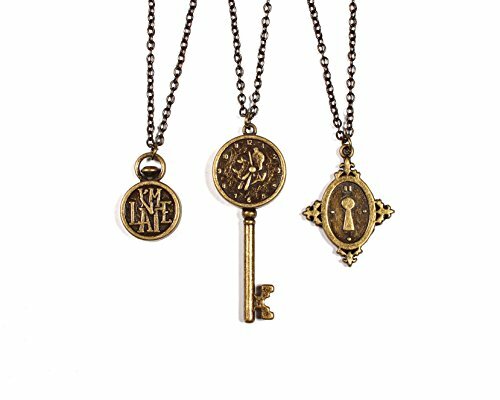 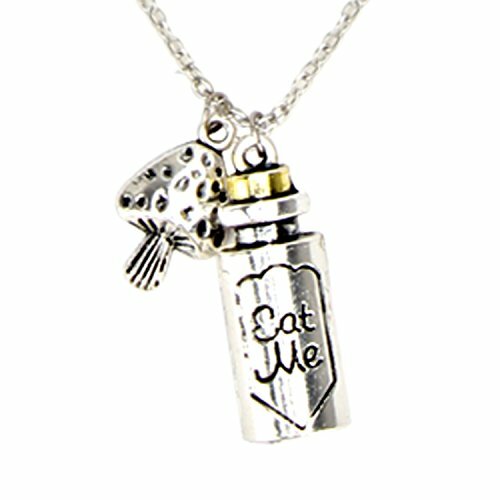 Alice in the wonderland 11 themed charms silvertone charm necklace. 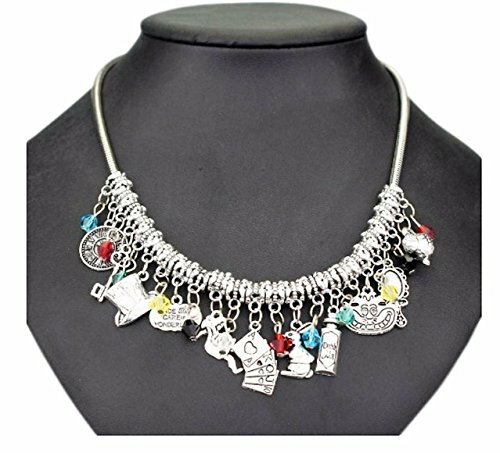 Necklace has alice in the wonderland themed charms and colored beads. 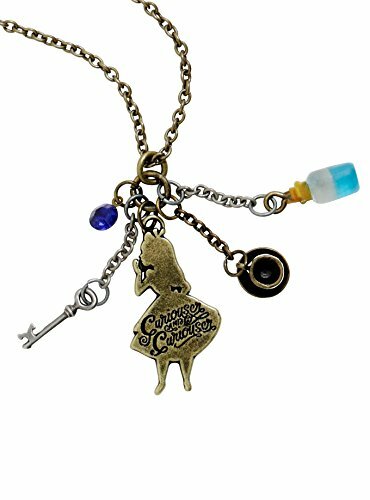 Bronze toned set of White Rabbit earrings.